East Bay Raceway is now in our 42nd year of operation. As of September 11, 2002, East Bay Raceway is owned by 2VHL Promotions, Inc. and we are now doing business as East Bay Raceway Park. We, the owners of 2VHL Promotions, Inc. have been a part of the East Bay family as fans and competitors since the first days of racing here. We’ve seen a lot of good times in this place and hope to help continue the good times for many years to come. The magical track is a one third mile oval of Florida clay and is the only dirt track located in Hillsborough County or the western half of Florida. It has run many national events with the best drivers in the world competing. For the 2018 season, we hosted the 42nd annual Winternationals for King of the 360’s Sprints, Lucas Oil Dirt Late Models, Crate Late Models, UMP Open Wheel Modifieds, and the Florida Mini-Sprints. We hope to bring back the fun of racing that we all got involved with racing to begin with. We are going to be a management team that will be here to enjoy our sport with you. We will be available to answer your questions and take your comments and criticisms. The only way that this race track will survive is with all of us working together to help each of us to get what it is that we are looking for. We, as owners, realize that we need each and every car to make our living. We hope that each of you feel that you need us to be able to race. We also hope that neither of us ever forget how important we are to each other. We are going to do everything we can to make sure that you enjoy racing at East Bay Raceway Park and hopefully we can all have a race track built around the enjoyment of dirt track stock car racing that is so magical. You will find some of the most dedicated race fans in the world here in our stands. We hope that our drivers and owners never forget that these are the people who we are really trying to please. If they feel they are getting what they came for, then we are doing our job. We have to put on a quality show that these people will want to come see each and every Saturday night. Our mission as owners is to provide as safe, as fun, and as enjoyable a night of racing as possible. We hope that each driver, car owner or crew member has a fun, safe, and successful, racing season. We thank each and every one of you in advance for being here to help us with our mission. Our offices are open Tuesday through Friday 9-5 and Saturday 12-3. 2VHL Promotions, Inc. is incorporated under the laws of the State of Florida. It’s purpose is to promote and conduct auto races and other racing oriented and related events at East Bay Raceway Park. In this pursuit 2VHL Promotions has formulated and adopted the general, safety, competition, and technical rules contained herein. These rules will become effective and enforceable as of the date of this publication and will constitute the rules and regulations that shall govern the conduct of all racing events at East Bay Raceway Park. All car owners, drivers, sponsors, crew members, and any and all persons involved in any way in an East Bay Raceway Park racing event shall be deemed to have read, understood, and agreed to comply with these rules, and any and all amendments, supplements, and /or revisions that may be implemented. The rules and any amendments can have an effect on your safely or in what you receive at the payoff window. It is, therefore, recommended that all above listed entities read this book carefully to assure familiarity with the rules an regulations contained herein. The rules and regulations as set forth herein are intended to establish minimum acceptable standards and requirements for all racing events. No expressed or implied warranties of safety shall result from the publication of or compliance with these rules and /or regulations. They are intended as a guide for the conduct of the sport and are in no way a guarantee against injury or death to participants, spectators, or others. The East Bay Raceway Park Rule Book is not the only authority governing the actions and activities of those individuals who pass through the gates of this facility. We remind everyone that East Bay Raceway Park is located within the boundaries of Hillsborough County and State of Florida and, therefore, is within the jurisdiction of all law enforcement agencies operating and having authority within these areas. Thus, all laws and statues applicable to these areas are enforceable at East Bay Raceway Park and all violators will be dealt with accordingly by the various law enforcement agencies. Only vehicles towing cars will be allowed in the pit area (Exceptions are track approved vehicles). Any personal cars are entering at owner’s risk. Race cars and race haulers have preferential treatment as to parking locations. Any car parked in wrong locations will be asked to move over pit P.A. system and if not moved, will be subject to relocation by track wrecker or contracted wrecker service. East Bay Raceway Park reserves the right to refuse entry of any vehicle or person to pit area for any reason whatsoever. Two-way communication devices may be allowed in races of 50 laps or more. Two-way communication devices are not allowed in any regular season show. *STOCK: Means as item was originally manufactured and its intended use, and where fitted in place by manufacturer. This means no modifications unless expressly stated. *Modification of any part without the consent of East Bay Raceway Park may cause the disqualification of that vehicle. CHECK WITH TECH BEFORE YOU DO IT. *1099 FORM (See centerfold): the car owner and driver is not the responsibility of the racetrack, but should be covered in a separate agreement between the car owner and the driver. East Bay Raceway Park will only pay and report to the person listed on the registration form submitted prior to a race. No monies will be paid until 1099 Form is on file. NO monies will be paid until cars are cleared by TECH INSPECTOR ALL RACING DIVISIONS. All monies must be picked up within the next four scheduled class events. If the money is not redeemed in this timeframe, all monies earned will be forfeited. All drivers must complete a driver information form with name, address and phone number along with emergency contact person. VIDEO RIGHTS: EAST BAY RACEWAY PARK OWNS ALL RIGHTS TO ANY VIDEO OR AUDIO TAKEN AT EAST BAY RACEWAY PARK AT ANY TIME, NO MATTER WHO IS RECORDING. If asked by East Bay Raceway Park officials to turn over recordings, you must comply or face suspension from property. ANY STREAMING BY ANYONE ON FACEBOOK, YOU TUBE OR ANY OTHER SOURCE WITHOUT PROPER WRITTEN PERMISSION IS ILLEGAL. You can fill out a permission form at the office and receive permission if you abide by the rules. Anyone violating these rules are subject to seizure of the video and ejection and suspension from EAST BAY RACEWAY PARK. WE ALSO RESERVE THE RIGHT TO ASK THAT ANYONE FILMING STOP WHEN ASKED TO AND ANY VIDEO TAKEN BE SENT TO EAST BAY RACEWAY PARK. Anyone not honoring our request to stop streaming video will be asked to leave the premises and may be barred from being able to come back to future events. East Bay Raceway Park expects and requires that all who enter this facility conduct themselves in a respectable and professional manner and display proper sportsmanship. 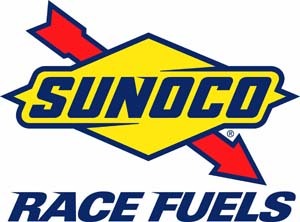 All actions and activities deemed to be detrimental, including but not limited to, the use of verbal and physical abuse, profanity, or threats against East Bay Raceway Park management, staff, officials, and/or employees will not be tolerated and violators will be dealt with accordingly. Threatening an official includes verbal, physical, and any hand or body gestures. The threatening party(ies) may be suspended one week with a $100.00 fine. Any individual attempting, inflicting, or threatening physical abuse to, or in any way harrassing another individual while on the premises of East Bay Raceway Park is subject to be dealt with under the provisions provided for herein. Drivers shall be held responsible for actions of all those associated with his/her car, including but not limited to, car owners, sponsors, crew, family members, wives and girlfriends, husbands and boyfriends and will be penalized accordingly. Absolutely no consumption of any alcoholic beverages or the use of illegal drugs in the pit area will be tolerated by anyone participating in the scheduled race event as a crew member or driver. This may constitute automatic disqualification, suspension for remaining race season and/or a fine of $500.00. On any given race date, a person’s pit area will be considered his private domain, and he has the right to defend it as though it were his own property. If you enter another person’s pit area without permission, you will be subject to removal from East Bay Raceway Park for the rest of that race date. This also applies when vehicle is parked in the infield, staging area or disabled on the race track. If an altercation happens, the intruder will be subject to other penalties as deemed appropriate by East Bay Raceway Park. East Bay Raceway Park officials have the right to make this determination on the spot. If you are disqualified during a heat for anything other than equipment problems, you may be suspended from competing in the main event. This is up to the discretion of East Bay Raceway Park officials. FIGHTING on the property will constitute automatic disciplinary action. There will not be any warnings given for physical fighting. THIS IS YOUR WARNING. There are other warnings in the pit area; therefore, first offense will be a minimum $100.00 fine and one race suspension from next scheduled event. FIGHTING WILL NOT BE TOLERATED. You are being paid; that makes you a professional. Please conduct yourselves accordingly. Drivers, owners, family and pit crew are included in this rule. The driver may even be done for the night, earning no points or money, depending on the nature of the incident. In the case of a fine, it must be paid before you return to competition. FINES are $100.00 to $5,000.00. All fines must be paid in full before returning to East Bay Raceway Park. Rough driving will not be tolerated. Rough driving may lead to further disciplinary action such as fines or suspensions or both. Disciplinary action will consist of warning, suspension from one week to indefinite, disqualification from that event, that night to the whole season, all points and/or money earned, fined from $25.00 to $1,000.00 and/or loss of points. The action taken will depend on the severity of the infraction. The decision will be at the officials’ discretion. ANYONE ASSOCIATED WITH A CAR GOING ONTO THE STARTER’S STAND OR SCORING BOOTH UNINVITED, WILL BE AUTOMATICALLY SUSPENDED. Penalties will be assessed accordingly. THESE CALLS WILL BE JUDGEMENT CALLS BY TRACK OFFICIALS AND THEY WILL BE FINAL AND BINDING. Any car deemed illegal forfeits points and monies earned for that race. The interpretation and application of all rules contained herein as well as all amendments, supplements and revisions that may be implemented shall be at the sole discretion of the East Bay Raceway Park management and officials and shall be final and binding. We will attempt to not make any changes in rule book for the entire season. In the case that an amendment is necessary and implemented, everyone in that class will be given an amendment the first week available and you will sign that you received it. After that first week, the amendment will be on file in pit office for you to get. We are not responsible if you do not ask race director for the amendments. In the absence of a specific rule to cover a given point of situation, East Bay Raceway Park management and officials reserve the right in all such instances to make a final judgment and ruling which will be binding. Therefore, you should understand the East Bay Raceway Park interpretation. That is the interpretation which governs whether you get paid or not. The absence of a specific rule does not imply approval, consent, or permission regarding that subject. Any questions or doubts regarding such matters should be directed to East Bay Raceway Park management and officials. East Bay Raceway Park reserves the right to change, alter, revise, amend, or delete any rules, or to add a rule or rules at any time. Management and officials of East Bay Raceway Park will answer questions and explain the interpretation of the rules and associated penalties issued to any owner or driver who inquires, but NOT during a time that races are being conducted. Such discussions must be held following the conclusion of all events and will not be conducted during the course of the running of the racing program. Race Director will be available in the Main Scoring Tower for 15 minutes after the conclusion of the last racing event. IT IS THE BURDEN ON THE COMPETITOR TO BECOME FAMILIAR WITH THE RULES AND OPERATIONAL POLICIES OF EAST BAY RACEWAY PARK. IT IS THE DRIVER’S RESPONSIBLITY TO ATTEND THE DRIVER’S MEETING. The violation for any rules contained herein or any amendments, supplements, and/or revisions that may be implemented, will subject the violator or violations to any penalty or combination of penalties as defined herein or as imposed at the discretion of the officials and management of East Bay Raceway Park. Green Flag – The green flag indicates the start or restart of a race. All races are started in Turn 4 by a big tractor tire with cones on top. That is where for all double-file starts,the front row must be side-by-side and fire together to begin race. On any re-starts whether they be by “Ybor City re-start” or single file, the leader has the option to fire from approximately the middle of turns 3&4 to the cone. Drivers will be given 2 opportunities to get it right and if not able to get a clean start, violating drivers will go to the rear of field for the start. Jumping on start or re-start: Any driver jumping the start or improving his position prior to the green flag on an original start or a restart will be penalized as follows: Two positions for every car jumped. All decisions on this are by Race Director or Flagman and are FINAL and unappealable. NO PROTESTS ALLOWED. Note: On original or double file restart, if you jump, you have automatically jumped two cars. So penalty would be four spots. Yellow Flag – The yellow flag indicates that there is a potentially hazardous situation on the racing surface. It requires that all drivers slow down immediately, exercise caution, and maintain or resume their relative positions in the field. They must maintain a speed designated by the officials. All cars must assume their positions in the field as of the last completed green flag lap (with the incident which precipitated the yellow flag) as designated by the officials. If the yellow flag is displayed during the first lap, there will be a complete restart. If it is determined by the Race Director that you were responsible or contributed to the yellow on the original start, you will not be awarded your original starting position. You will be placed at the rear of the field. In this event, all positions left open will be filled by moving cars straight up. You will no longer get a free caution to improve your start. Should the leader complete the first lap prior to the yellow flag being displayed, the lap will count as completed. All laps thereafter will be counted as complete when one half the competitive field crosses the start/finish line, and cars will be lined up according to the previous completed lap. Any driver who disregards or abuses this rule or does not cooperate in the yellow flag procedure is subject to being penalized. Red Flag – The red flag requires that all cars come to a complete stop as soon as safely possible in a safe and cautious manner due to an unsafe condition. If the red flag is displayed during the first lap there will be a complete restart unless two-thirds of the field has completed that lap. Should two-thirds complete the fist lap and the red flag is displayed, the lap will count as completed. Under no circumstances should the driver, crew, or owner work on the car when the track is under a RED; this includes the infield. This will cause the driver and car to be disqualified. Black Flag – A car receiving the black flag must go immediately to the infield or pit area. The scoring of any car, in which the driver ignores the black flag, will be disqualified and/or suspension or fine may occur. MOVE OVER FLAG – (Blue with diagonal yellow stripe) This flag means: “move over” – you are being lapped by a lead car. Move to the inside. Sprint car rules explained at driver’s meeting. White Flag – The white flag indicates to each driver that he is starting the last lap, and also indicates one lap to green. Checkered Flag – The checkered flag signifies the completion of the event. NOTE: East Bay Raceway Park DOES NOT race under the yellow, therefore, yellow flag laps do not count unless specifically told before an event. A completed lap is when one half the competitive field crosses the start/finish line, with the exception of the first lap. IT IS DRIVER’S RESPONSIBILITY TO HAVE A REPRESENTATIVE ATTEND ALL DRIVER’S MEETINGS. DRIVERS, CREW MEMBERS AND/OR OWNERS ARE ALLOWED AT DRIVERS MEETING! IT IS DRIVER’S RESPONSIBILITY TO MAKE SURE THAT CAR HE IS COMPETING IN MEETS ALL SAFETY AND TECHNICAL RULES AND REGULATIONS FOR THE CLASS THAT CAR IS COMPETING IN. IT IS DRIVER’S RESPONSIBILITY TO MAKE SURE CAR HAS BEEN PRESENTED TO TECH PERSONNEL FOR INSPECTION BEFORE ENTERING ANY RACING EVENT. No radios, all classes. Raceceivers or scanners are mandatory in all classes. They are to be used for all hot laps, heat and feature events. East Bay Raceway Park uses the frequency 454.000 for all Raceceiver communications. All Drivers must line up their cars immediately in the proper order in the staging area when called for their respective races. It is the driver’s responsibility to know his proper starting position. These positions are posted on the chalkboard by the pit office. Failure to be in line in the proper positions by the time the pace car reaches the starter’s stand on the parade lap will result in those cars that are out of position having to start scratch. If you do not start in the heat in which you are placed, you will not be qualified to run in the feature. You may only change the heat race if, and only if, your car is having mechanical difficulty which must be verified by a track official. (As the driver, you must show the mechanical problem to the official; at that time, the official will use his discretion on whether the car is able or unable to make the scheduled heat race.). If this should occur, you will start in the rear of the available heat race. All alternates should report to the backstretch flagman in a race ready condition in sufficient time to be positioned in the starting field. No alternates will be inserted into the field after the first green flag start. Rough driving will not be tolerated. Penalties will be imposed as defined in the PENALTIES section. Under a yellow or red flag condition cars will be lined up for the restart in a single file formation in the order in which they were running, with the exception of the cars which caused the yellow or red to be displayed. Any race car may compete in only one division on any given night (late model/ late model sportsman, etc.). A driver may run two classes, but can only drop down one class. Exception: Street Stock, V-8 Warriors, Outlaw 4 and Gladiator(4 Cylinder Bomber) drivers can only run in one division (Exception: WinterNationals or special events). Any driver that causes a delay in a race in the racing program is subject to immediate disqualification. No one will be allowed to work on a car on the racing surface or the track apron during a yellow flag condition. Under a red flag condition a driver may NOT work on his car. No tools, parts or supplies of any kind will be allowed on the racing surface during the red flag period. All repairs requiring tools, parts or supplies of any kind must be made in the pit area. When the yellow is displayed and ONLY upon returning to the event, the car must go to the rear of the field. Tire changing, refueling, the addition of oil and/or water and any and all other servicing of the cars must be done in the pit area. Absolutely no one but the drivers currently competing in the race, East Bay Raceway Park management and officials and the designated track crews and emergency personnel will be allowed on the racing surface or within 25 feet of the racing surface at any time. Any violator is subject to immediate ejection from the premises. If it can further be determined that the violator or violators are associated with a given car or cars, the driver or drivers of these cars are also subject to immediate disqualification, it, therefore, benefits all drivers to inform their owners, crews, sponsors, and anyone else associated with their cars, which entering the racing surface may result in severe penalties. All participants that take the original green flag in the feature will receive prize money, if they successfully pass tech inspection. Any driver that brings out the yellow or red flag twice in any regular racing event as a result of an unassisted spin or other problems will be disqualified from that event. A driver may be allowed additional yellow or red flags in extra distance races. This will be determined and announced by East Bay Raceway Park management and officials. In order that the backstretch flagman can control and provide safe exits from the infield area, it is mandatory that all cars enter the racing surface in the lanes provided in the center of the backstretch during the green flag. Any driver entering the race surface at any other point will be immediately disqualified. If you go to the pits during a feature event, and you are going back to the track to compete and the gate guard shows you a red flag, you are to stop and await his command. If the one to go signal has been given and all cars in race have passed the gate, you will not be allowed to return to the race. NOTE: CONCERNING FLAT TIRES; WE DO NOT AND HAVE NEVER GIVEN 2 LAPS FOR A DRIVER TO GET A FLAT CHANGED. IF YOU LEAVE THE RACING SURFACE TO CHANGE A TIRE, YOU HAVE UNTIL THE LINE-UP IS CORRECT AND RACE DIRECTOR PUTS FIELD UNDER ONE TO GO AND ALL CARS HAVE PAST THE TURN TWO GATE TO MAKE IT BACK ONTO TRACK. IF LINE-UP IS CORRECT IN ONE LAP, WE WILL GO BACK TO RACING ON NEXT LAP. IF THE LINE-UP IS NOT READY, YOU WILL GET MORE TIME. We have a curfew imposed by Hillsborough County EPC and can not waste a lot of time getting the races completed before the curfew. For special races, if this is going to change, it will be announced in the driver’s meeting. Cars must report to staging area when called. If you come to the area late, you are too late to compete in that event. It is driver’s responsibility to know when his race is lining up and to be their on time. Sometimes speakers do not work properly, so be aware you need to have someone check line-up board and pay attention to when to line-up. DO NOT proceed on to the track racing surface until turn two Gate Operator signals you onto racing surface. No glass bottles of any type will be allowed in the pit area. A driver must be qualified to run in the feature event. To be qualified, the driver must have run in a heat race. Exceptions to this rule may be determined and declared by East Bay Raceway Park management and officials if circumstances prevail, including but not limited to, mechanical failures. All such circumstances will be verified by East Bay Raceway Park officials. EXCEPTION: To be determined by management. No one except East Bay Raceway Park management, staff, officials, and invited guests will be allowed in the areas listed below. Entering these areas will subject the violator to immediate removal from the premises and possible further penalties at the discretion of East Bay Raceway Park management and officials, including, but not limited to, the disqualification of the driver and car with which the violator is associated. RESTRICTED AREAS ARE: INFIELD, VIP AREA, STARTER’S STAND, TRACK OFFICE, SCORING AREA, TECH AREA AND ANY OTHER DESIGNATED RESTRICTED AREAS. All driver changes from the customary driver must be finalized prior to the first green flag in the heat race. Notification of all such driver changes must be made to East Bay Raceway Park officials in order to be valid. No East Bay employee will help work on a competing car. A driver that competed in a heat race and thereby qualifies for the feature event, but does not take the green flag for the feature event, will not be paid for any finishing position in that feature event. Prize money will only be paid out to drivers who have taken the initial green flag in the feature event. All monies must be picked up within four weeks. All car numbers will be assigned by the track statistician. Numbers must be three-inch block, eighteen inches in height. Numbers must be painted in a contrasting color to that of the car and on both sides of the car and on top in order to be read from the scoring stand which is outside the racing surface. The final decision on the adequacy of the number will only be allowed at the discretion of track management. All cars must be properly numbered prior to their first appearance in order to compete. Numbers must be painted on or of good graphic materials. Tape and other substitutes will be allowed for one event only. Numbers on both sides and the top of the car must remain legible at the discretion of the officials as long as the car continues to compete at East Bay Raceway Park. All cars will have 4″ numbers on lower front windshield area. All cars will have 4″ numbers on back of fuel cell. Cars containing obscene lettering or pictures will not be allowed to compete. Car owners, drivers, and crew are requested to maintain their car’s appearance. East Bay Raceway Park officials may ask competitors whose cars are not maintained and whose appearance becomes distracting to remedy this situation. For Special Events, INFIELD PITTING may be allowed during the FEATURE, according to rules set by management. During any race there is to be NO STOPPING on the racetrack under yellow flag condition; if so, you WILL GO TO THE REAR. If you stop to argue, you may be subject to disqualification and /or suspension. No slow or brake check re-starts will be allowed. After passing back straight gate, you must maintain at least the pace you had at the gate. If you slow down after the gate, you will be subject to be sent to rear of field. All cars must have starters, clutches, and transmissions (with reverse gear) in proper working order. Sprint cars are excluded from this rule. ALL ADDED WEIGHT MUST HAVE MINIMUM 2 -½” BOLTS, NO WELDING OR STRAPS. Must be painted white and have car number on it. ALL DRIVESHAFTS MUST BE PAINTED WHITE. The approved muffler for all classes, except the Gladiators(4 Cylinder Bombers), is the Schoenfeld #112535 or #112530. Any car without an approved muffler properly installed and properly working prior to, during, or after a racing event will be disqualified. The Gladiators( 4 Cylinder Bombers) must run an unaltered stock or OEM replacement muffler. NOTE: Any car monitored in excess of noise limit in practice, heat race, or feature will be disqualified and will not be allowed to compete after notice by track official. (Unless problem can be remedied in time to compete). All persons entering the pit area must sign the voluntary waiver and release form indemnity agreement. Minors must have a properly signed release form completed and on file at the raceway prior to pit entry. Forms are available at raceway office. A copy of minor’s birth certificate must be on file if requested by insurance provider. All drivers are independent contractors of East Bay Raceway Park and shall be licensed as such. Applications for license will be provided for each driver and will be properly filled out and signed by driver to be kept on file in East Bay Raceway Park office. This is a contract between East Bay Raceway Park and each driver which is valid and enforceable. Anyone injured during the course of the racing program must notify the track office and provide all required information prior to leaving the premises on that date in order to be eligible for any insurance benefits. Notifications made after that will not be accepted and insurance eligibility will be forfeited. Injuries due to fighting are not covered under our insurance. Drivers running at excessive speeds in the pit area as determined at the discretion of the officials, will be disqualified from all competition for the remainder of the racing program. Repeat offenses may result in more severe sanctions and subject to fine and penalty. Pit speed 5 mph. Also subject to fines. Cars involved in accident during the running of an event will be required to restart in scratch position at the rear of the field if they are capable of returning to the competition. All rulings pertaining to involvement will be at the discretion of the officials. All cars are subject to inspection at any time for any reason, including but not limited to their compliance with any and all rules. If you qualify more than one car in any division, the second car qualified will be the car you run in the feature. That car will line up under the standard line up procedures. If you have to run the other car in the feature, that car will line up scratch. If you run more than one car in any division you must identify the car that will be lined up by points for the heat.. Cars must run a heat to earn heat points and position in the feature race. If you do not run a heat you will not run in the feature if less than a 24-car field. Exceptions: Must be cleared in advance by East Bay Raceway Park officials. If there are more than 24 cars, you will be an alternate. Cars that are painted black must have bright accent colors and numbers, due to contrast of the lights and the clay. Black cars are difficult to see on the raceway. Top five cars in all division’s must report to the Tech Shed and stay until released by the tech inspector. TECH INSPECTOR will determine method of inspection for any given night. This procedure may vary from week to week. All racing divisions: NO MIRRORS ALLOWED. NO TWO WAY RADIO OR PHONE COMMUNICATION DEVICES. NO BATTERY OPERATED OR FLOURESCENT GLOWSTICKS, WANDS OR GLOVES ALLOWED ANYWHERE AROUND TRACK TO SIGNAL DRIVERS IN ANY MANNER. Non-flourescent or non-light up apparatuses will be allowed. Tape or paint only. Window nets on driver’s side are mandatory in Street Stocks, Outlaw 4’s, Gladiators(4cylinder Bombers) classes. They are recommended, but are optional in the remaining classes. Chains required on front of car for towing. All drivers must be 16 years old to race in any division other than Street Stock, Outlaw 4 or Gladiators(4 Cylinder Bomber). 14 years old is the minimum age for those 3 classes. All 3-wheelers/4-wheelers/ATV’s or golf carts entering pits must be registered. All will have number of car clearly marked on front and rear. Lights must be in working order. No one under 16 years old will be allowed to operate any ATV on racetrack property. Registration is vehicle owner’s responsibility. Forms are available at pit office. Vehicle must remain in pit area. Only one (1) vehicle per race car will be allowed in pit area. Anyone involved in litigation against East Bay Raceway Park will not be allowed to participate in or attend any event on East Bay Raceway Park property. Due process for rules violations. After violation is determined by tech and explained to driver/car owner. First appeal is to tech man. Second appeal is to East Bay Raceway Park ownership team. This second appeal shall be in writing explaining the situation. This will be reviewed by ownership team in private and then, if needed, with the person filing appeal will meet with ownership team to determine outcome of appeal. The final ruling from East Bay Raceway Park will be final, binding and non-litigatable. East Bay Raceway Park reserves the right to confiscate any and all illegal equipment which is found on any car entering East Bay Raceway Park events. This illegal equipment will be taken from owner and will become property of East Bay Raceway Park and will not be returned to car owner. Illegal equipment will be secured, tagged, logged in, and stored by East Bay Raceway Park in a manner to assure that illegal equipment does not get back on any race car. If you do not want to lose illegal items, do not use them. In the event of serious injury of driver or crew members, East Bay Raceway Park reserves the right to impound all vehicles involved for further inspection by track officials and law enforcement agencies. All tire changes during a race will be done in pit area, off track from line-up shed and east of back gate. You have until all cars pass turn two gate after flagman has given one lap to go signal. If last car passes gate and you are not waiting at gate, gate will be closed and you will not re-enter race. This will be controlled by race director and he will have final and binding decision. Safety is at all times, our first priority–on the race track and in pit area. Spectators are in the pit area and should always be respected. Driving too fast in the pits will not be tolerated. Sprint cars will observe their push off area limits. After a sprint car race, they are to come out of race track, pull by staging area and shut down–then be pushed to their pit stall. All cars must have plate welded or bolted to door bars. It must be 18 gauge or .049 minimum thickness. Plate must cover area from top door bar to bottom door bar and from rear hoop /door post to 5 inches in front of seat. Must be visible for inspection. All drivers must wear safety helmets designed for the specific purpose of racing and carrying at least a Snell 2000 approval Sticker at all times when driving a race car. All helmets are subject to inspection and approval by East Bay Raceway Park officials at anytime. No D.O.T. helmets allowed. All classes are required to have Snell 2000 sticker. All drivers must wear an East Bay Raceway Park approved fire resistant uniform, fire resistant gloves and neck brace at all times when driving a race car. All uniforms are subject to inspection and approval by East Bay Raceway Park officials at any time. It is recommended that all drivers wear a minimum two (2) layer (Snell or SFI) approved fire suit or if you wear a one-layer suit, fire-protective underwear, protective mask, protective gloves, protective socks, and protective shoes. Head and Neck restraint systems are highly recommended for all competitors. Five point mounted seat belts / harness system are mandatory. All belts and harnesses are subject to inspection and approval by East Bay Raceway Park officials at any time and must meet the following requirements. Minimum three-inch width must be worn as tight as possible and must be attached directly to a strong structural member of the frame or cage. Attachment must be with chain or any other substantial connection device capable of withstanding significant G forces. Belts and harness system must be replaced whenever they appear worn or frayed or three years old. All surfaces over which belts and harness pass must be such that they do not cause the material to chafe or cut. All helmets and seat belts must be Snell or SFI certified. All belts must be dated and be less than three (3) years old. The battery must be secured in such a manner as to preclude it breaking loose upon impact. Battery must be mounted in a location that is protected from direct impact. Must be located inside of frame rails of car. If located in driver’s area, battery must have a cover or box over it. All doors must be welded in a closed position. All hoods, trunk lids and other body pieces must be securely fastened. A car must start each racing event with the hood, trunk lid and all other body pieces intact unless these items were lost during the course of a previous racing event on that race date and that car has been approved for further competition by the officials. All cars with open drive shafts must have a safety strap. 360 degree tunnel, minimum of 1/8″ thick steel from 2″ under front edge of steel to back of transmission covering shaft and U joint and output flange on top and both sides down to floor boards. It must be held in place with a minimum of four (4) 3/8″diameter bolts at bottom to a substantial cross member. This drive shaft cover must be a solid unit with no cutaways for lightening purposes. All cars must be equipped with three- or four-wheel brakes in proper working condition. Only the driver is allowed to be in the car when it is on the racing surface for any purpose. No one other than driver is allowed to ride in or on the car when it is on the racing surface or pit area for any purpose. Right front safety hub is recommended for all divisions. All cars must have a cut-off switch within easy reach of the driver and clearly marked and identified as to the ON and OFF positions. All openings in exterior body metal such as door handle holes, headlights, etc. shall be seated with metal. All glass must be removed from all cars. A safety screen must be installed in the front windshield area and must completely fill that area. There must be a minimum 10- inch windshield opening area. The screen cannot exceed 2-inch squares. Car must have three bars in front of driver in windshield opening. No other window openings may be covered in any way. All fuel tanks must be made of approved metal or plastic and securely installed in the trunk area. A firewall made of a minimum 20-gauge sheet metal must be located between the fuel tank and the driver. There must be a bar or bars located behind the fuel tank capable of protecting it from an impact from the rear. All fuel tanks, firewalls, and protective bars and their installations are subject to the inspection and approval of East Bay Raceway Park officials at any time. We strongly recommend the use of fuel cells in all racing divisions. Fuel cells must be installed in a metal container. The use of propane or butane gas or nitrous oxide is not allowed. 17a. No performance-enhancing additives in fuel. If found, $500 fine and loss of points to date. There must be a firewall located between the engine compartment and the driver’s compartment, made of a minimum 20-gauge sheet metal. All cars must have a head rest capable of retarding the rearward movement of the driver’s head in an impact situation. All cars must contain a track approved fully charged fire extinguisher in proper working condition with a current inspection tag. The extinguisher must have a functioning and readable gauge. The extinguisher must be secured in the driver compartment within convenient reach of the driver (no duct tape). The installation of this unit is subject to the inspection and approval of East Bay Raceway Park officials. Any car that does not meet the specifications of this rule is not eligible to compete at East Bay Raceway Park. Any car with loose or protruding body work or parts is subject to disqualification. You must go to infield to remove same. The horizontal centerline of the bumper on all cars in all divisions must be no less than 18 inches and no more than 20 inches from the ground. MANDATORY: All cars will have a minimum eight-inch lifting ring or chain (front and rear). There must be no sharp edges on any pieces of the body work or the bumpers. All corners, edges, and protrusions must be rounded. Radiators may not be installed in the driver’s compartment. The approval of East Bay Raceway Park officials is required in order to install any radiator or holding tank in any other than a stock position. East Bay Raceway Park approved racing -type bucket seats are required in all divisions. No electric fuel pumps will be allowed in any car in any division without approval of a tech inspector. During the running of any racing event, any car which poses a potential danger to it’s driver or to other competitors for any reason, or is being operated without the care and consideration required to insure the safety of other competitors, is subject to disqualification. All cars are subject to a safety inspection at any time. Any car may be disallowed for competition at any time at the discretion of the officials for safety oriented discrepancies. Drivers will not unbuckle or get out of their race cars on the track after a spin out or accident until told to do so by a track official (unless you are in a life threatening situation such as a fire). Drivers will have helmets on and fastened and seat belts fastened before entering the racing surface. Any driver with a medical record which is detrimental to himself or other competitors must furnish medical release from attending physician. Failure to report any such medical record will void insurance coverage. Any car in which driver cannot easily crawl out right side of car will be required to have an escape hatch above driver’s compartment. Opening for hatch must be big enough for driver to come straight out without squeezing or turning sideways. Hatch must be approved by EAST BAY RACEWAY PARK tech. This applies to all vehicles which race at EAST BAY RACEWAY PARK. Mufflers are mandatory on ALL cars. All mufflers must remain on vehicle and be in working condition throughout race. THE MANDATORY MUFFLER FOR ALL CLASSSES IS THE SCHOENFELD #112535 or 112530. The Gladiators(4 Cylinder Bomber) class must run an unaltered stock or OEM replacement muffler. Maximum 98 decibel reading measured at trackside. Need to see inside muffler. Muffler must be as supplied by Schoenfeld. Muffler cannot be changed or altered unless approved by EAST BAY RACEWAY PARK tech. TURN DOWNS ARE NOT MANDATORY. No tire softeners, treatments or chemicals which alter softness of rubber allowed on any tires in any racing division. No soaking or pre-heating of tires. No chemicals of any type to be put on or inside of tires except oxygen or nitrogen. If found, tires will be confiscated, and driver will be fined a minimum fine of $500, loss of all points accrued to that date and/or possible suspension. Points will be awarded to driver only. Distribution of any point monies will be up to driver. East Bay Raceway Park will not be involved in driver-to-car owner disbursements of monies of agreements. DRIVERS ALONE ARE RESPONSIBLE FOR PROPER SIGN-IN AND REGISTRATION OF CAR WITH HEAD SCORER BEFORE THE DRIVERS MEETING. This means that no one else shall sign in vehicle. The driver needs to do this and be in attendance at drivers meeting. Any driver not signing in before head scorer has closed registration will be added to the rear of their respective heats. They will get their normal starting position back for the feature after completion of their heat race. One point will be awarded to each driver who makes an appearance with a car with the intention to compete but does not earn any points. If a driver is disqualified, he will not be awarded any competition or appearance points. Starting Positions for normal weekly races will be determined by a pill draw by the driver. This draw may be done either manually or by computer draw, East Bay Raceway Park officials have the sole determination of how it is done for that particular night. Each Driver must, personally check in with scorers at pit office before 6:10pm on race night. No one else is allowed to pull or draw for that driver. Heat races will be lined up according to draw with lowest draw being front of line-up. A random draw by a Heat winner will determine the inversion for the Feature event line-up. The cars behind the inversion will be lined up according to their finish position and the order of the heat races were ran. For receipt of trophies or monies at end of season recognition ceremony, driver must have competed in at least 75% of all events for that class. DRIVER MUST ATTEND end of season recognition ceremony to receive any money or trophies. Any exceptions will have to be cleared by East Bay Raceway Park officials in advance of banquet. To be eligible for “Rookie of the Year”, driver must properly fill out eligibility sheet and return to head scorer before June 1. This sheet is available at the driver check-in desk before the races begin each night. The Gladiator(4 cylinder BOMBER) class is a complete car claim class. The Outlaw 4 class is a head or shock claim class. The Open Wheel Modified class has a head claim and a shock claim rule. The Limited Late Model class has a GM crate engine and shock claim rule. The Late Model class has a GM crate engine claim rule. Only competing drivers finishing on the lead lap in the respective classes are eligible to claim another vehicle/head/shock/engine which finishes ahead of them, by taking appropriate cash to flagman on front straight immediately following the completion of the event. There is a 3 minute time limit for this to be done. If you drive out turn one gate or enter pits, there will be no claim allowed. Any driver refusing to honor claim will be disqualified from that event and suspended from entering any event in that class at East Bay Raceway Park for a minimum of six(6) months from date of first event and loss of all points accrued for season to that point. Second offense will be a minimum of one (1) full calendar year and loss of all points accrued to that point. All protests must be made in writing and must specifically identify the nature of the protest. Protest forms will be available from the tech man in the tech area at any time. The protest form must be filled out properly and legible, signed by the protester and must be accompanied by the appropriate protest fee in cash. 4. The protest ( written, signed, and accompanied by the appropriate fee) must be presented to the East Bay Raceway Park flagman on the front straight immediately following the completion of the race event. The protest must be made prior to race or on front straight to the East Bay Raceway Park flagman. Driver must have form and appropriate fee turned over to flagman before protest will be allowed. NO PROTESTS WILL BE ALLOWED TO BE FILED IN TECH AREA. If the protest requires examination and /or tear down of the protested car, only TWO designated individuals from the protested crew and one designated individual from the protesting crew may be present in the impound area. The rules outlined in the Conduct section of this rule book will apply to all activities in this impound area. Engine in protested car must be pulled out and ready for final inspection a maximum of 2 hours after completion of the final event of the night. A 30 minute cool down period may be added if protest is from final event to the night. Car will lose all points and monies for that event. A $250.00 protest fee will be applied for the protest of one specific item (pulling a head to look at the top of the piston). However, looking at a piston, rod or crank will constitute a complete tear down covered in Rule 11. If the car is found to be legal, the protest will be disallowed and the $150.00 of the protest fee will go to the protested car owner and $100.00 of the fee will go to East Bay Raceway Park to defray additional expenses. A $500.00 protest fee will be applied to any protest requiring complete engine tear down. This will include, but not be limited to, the inspection of the pistons, rods, or crank. If the car is found to be legal, the protest will be disallowed and $350.00 of this fee will go to the protested car owner and $150.00 to East Bay Raceway Park in order to defray associated expenses. If the protest is found to be valid and the protested car is illegal, the protest fee will be returned to the protester. The owner of the illegal car must pay $100.00 to East Bay Raceway Park for a $250.00 protest or $150.00 to East Bay Raceway Park if it is a $500.00 protest. Monies must be paid before the car can compete again at East Bay Raceway Park. During the protest, the TECH INSPECTOR will be looking for other illegal items. If he finds such an item, you will lose points and monies for that night, even if the original protested item was found to be legal. The illegal item will be the property of East Bay Raceway Park at the time. If the car owner agrees, East Bay Raceway Park will tear down the engine and determine actual cubic inches. If the engine is legal (weight/cubic inch), East Bay Raceway Park will reimburse the car owner for the cost of the gaskets (head gaskets and intake manifold.) If engine is wrong, nothing will be paid. The feature that you are protesting must be done according to existing protest criteria. EXAMPLE: If you are protesting the make up feature, you must comply with Rule 5 of the rule book. If you protest the make up feature, the protest will not carry through to the second feature. This is technical point. Normally you do not run two features in a night so you would have a week to correct the car before the next race. The same would apply if you protested the regular feature that night. It does not revert back to the make up feature for the same reason. Any illegal part may be confiscated by the racetrack. 2nd protest of same car will require protesting car to also tear down their car equally. East Bay Raceway Park or their representative will advise drivers of the make up of the number of heat races, main events, field maximum size and other pertinent information at the driver’s meeting. The lineup posted on the pit bulletin board when cars enter the racing surface for any race shall be the final lineup. In the event a car drops out of the lineup for mechanical reason, the balance of the field shall move straight forward. The start will be official only upon the starter signaling with the green flag. In the event a pace car is used, all cars shall take their proper position behind it. If a pace car is not used, the pole car will set the pace, which shall be consistent with track conditions and as required to keep the field in formation. East Bay Raceway Park shall be empowered to disqualify or penalize any driver violating this rule. A cone will be placed in the turn four area for all double file starts. All cars must remain in proper order until they pass this cone. (NO PASSING BEFORE PASSING CONE.) The flagman will throw the green flag to start the race when the front row is in side-by-side formation and the remaining field is in good formation. If, in the official’s judgment, the front row car or cars are out of position, a yellow will be displayed, after the green and a warning given to the offender. Any further violation will result in the offender being placed a row back with the car behind the offender being brought to the front row. Any other car not in proper position in officials’ judgment will be penalized a minimum of two positions plus one position for each position gained over one. It will be enforced on the next caution period or at the end of the race. On all single file starts after one lap, the restarts will start at the discretion of the leader. The leader must start race after passing the last sign on the outside of turn 4 and before he reaches the cone. The leader must maintain a reasonable pace (at least 1/3 to ½ race pace), after passing the back gate, the leader is not to slow down at all. If the leader fires early, maintains too slow a pace or brake checks field, he will be subject to being penalized to rear of field. All cars must maintain single file status until after passing the cone in turn 4. Any car passing or up beside a car before the cone will be subject to being penalized 2 positions for each car passed or beside, even if you do not compete the pass. Safest way to keep from being penalized is to stay in nose to tail formation until after the cone. Any car not running at a reasonable racing speed may be subject to disqualification for safety reasons. Any car on or near the racing surface that delays the start or restart of any race shall be penalized one lap or disqualified from event by officials. A work area will be designated. Alternates will be taken to fill any vacancies that occur, from first unqualified cars. No alternate for any race will be taken after the original green flag. All cars causing yellow or stopping on a yellow will be placed at the rear of restarting lineup. An area will be designated for any work to be done during a yellow flag. Cars causing yellow and remaining on racing surface that are able to restart without service, will be placed at the rear (if multiple cars, they will be lined up in order in which they were running prior to the yellow flag). Cars going to work area will be placed at the rear in the order in which they return to the track. If a car needs a second push off after all cars have started, except for safety reasons, he will start at the rear of that race. RED FLAG; ALL CARS MUST STOP AT ONCE! All heat race restarting lineups will be single file after one lap with any lapped cars being placed in the lineup. All feature event re-starts will be “Delaware or Ybor City “ double file line-up with leader on front row alone, second place driver choosing to go inside or outside and all cars responding alternately behind. All 360 Sprint Car and Limited Sprint Car re-starts will be single file. A race is not considered complete until the checkered flag appears. If a yellow or red flag must be thrown after the checkered flag appears, the race is officially over the payoff will be done in the same manner as a yellow or red flag realignment.